Comments: Comments Off on What does the Pilot/Flying J settlement mean to the Browns? What does the Pilot/Flying J settlement mean to the Browns? 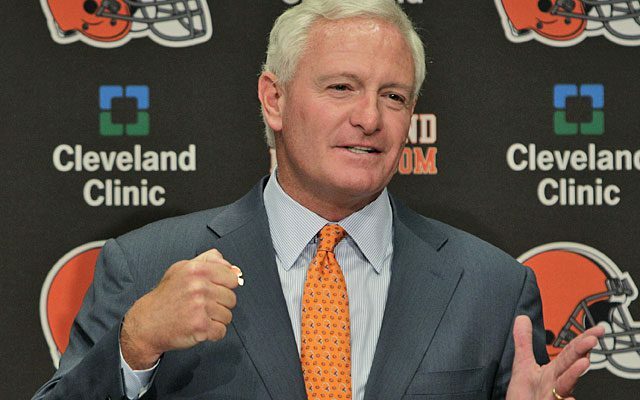 Browns owner Jimmy Haslam signed off on a settlement agreement with the federal government to pay a 92 million dollar fine. It has been broadly reported that this issue is now closed. That is not the case. In the 40+ page agreement, the fed reserves the right to continue to prosecute individuals that were involved in the withholding of rebates to customers. That does not mean that Haslam will be indicted. It simply means that the fed does not have enough evidence at this point to indite him or any of the other top officials. By reserving the right to continue to prosecute, there is still a chance that additional indictments may come but it is less likely. One thing that can not be overlooked is the party politics of this investigation. Where Jimmy’s brother not the Republican Governor of Tennessee, there would have been a much less public investigation of the crime. Make no mistake about it—the company did violate federal law. But the fed did all it could to be as public as possible about the crime. Bottom line—Every Browns fan should buy their fuel at Flying J or Pilot because the team owner needs the money to pay the fed. Comments: Comments Off on Josh McDaniel is the wrong choice to coach the Browns. Josh McDaniel is the wrong choice to coach the Browns. Those of you that have been reading this site for awhile know I am not a fan of Josh. Bowlen blew it when he fired Mike Shanahan and blew it again in hiring the 32 year old McDaniels. McDaniels is not mature enough to be a head coach in the NFL. It was a bad hire and this is only the first screwup for which McD will be responsible. I was correct. Following that debacle, Josh was forced to give pro-bowl WR away for next to nothing and would have lost pro-bowl DE Dumerville to free agency if he had not been fired. McD implemented a 3-4 forcing Dumerville to play OLB. That is not the best way to use his talent. To the credit of Bowlen (owner of the Broncos) his next hire was a good one. Now the most persistent rumor about who will replace Shurmur is—wait for it—Josh McDaniel. That would be a monumental mistake. Eric Mangini Browns (2009-2010) – Was so bad at judging talent that he lost his GM control after a year and only got a 2nd year because Mike Holmgren wanted his boy Shurmur to get a 2nd year of OC before introducing the later as HC. Romeo Crennel Browns (2005-2008) Chiefs (2012) – You would have thought that after the Crennel disaster the Browns owner would have had more sense than to hire another Beilchick clone. Not only did the Browns go for a clone but KC promoted Romeo after the team fired Haley. Jim Schwartz, Detroit Lions (2009–?) – Jim has lost control of the team that has way too much talent to have this bad a record. 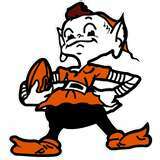 So my question is this: What would make Jimmy Haslam even consider McDaniel for the job? 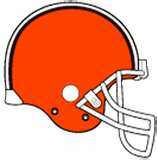 For one thing the 3-4 defense does not fit the Browns personnel at all. The weakness of this team is at OLB. And the strength is our DT rotation. And don’t forget McDaniel drafted Tebow in the first round then did not develop his passing mechanics. I wonder if he could not or just did not think it was a priority? The biggest issue I have with Shurmur is that he is about as flexible as cement. He seems incapable or unwilling to make adjustments during the game. The same things have been said by players for McDaniel. My experience has been those that believe they are the smartest guys in the room are usually not even in the running. The Browns need a coach that will put the players in the best situation to take advantage of their abilities and help them win. We did not see that with Shurmur and I doubt that McDaniel would be any different.